A great heavy duty glove, the Briers Reinforced Rigger Gardening Gloves allow the user to carry out all general gardening tasks as well as the tougher and more awkward tasks. The Briers Reinforced Rigger Gardening Gloves are also tough enough to be used for DIY jobs when more protection is required. With a reinforced thumb and palm and a safety cuff, the Briers Reinforced Rigger Gardening Gloves provide a high level of protection to the area. The product code for these gloves is 0380. 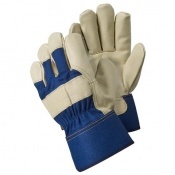 The Briers Reinforced Rigger Gardening Gloves are supplied in a Large size. 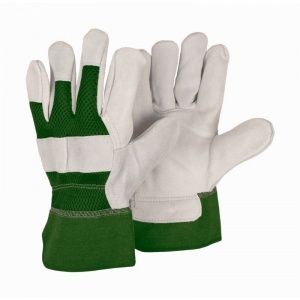 The Briers Reinforced Rigger Gardening Gloves are supplied in pairs. 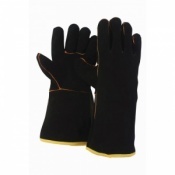 Good quality, heavy duty gloves for rough work. Two problems - not flexible enough for handling smaller items and only available in one size so even more cumbersome for smaller hands and the ladies on the team.